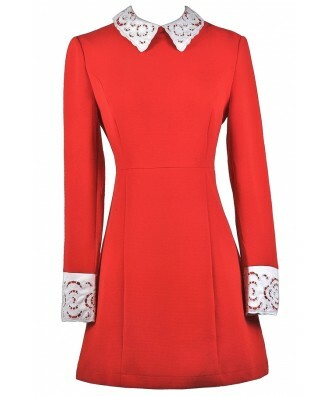 This demure and ladylike peter pan collar dress is amped up by the bright red color! 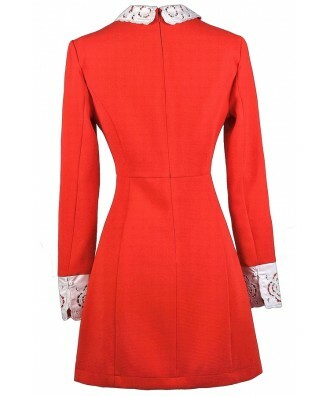 The Daring and Demure Red Lace Peter Pan Collar Dress is made of a heavy textured fabric and is lined at the bust. It has a high rounded neckline, long sleeves, and a slight A-line cut. The best part of this dress has to be the ivory lace peter pan collar and sleeves. We love the contrast of ivory and red paired together! A hidden back zipper completes this dress. The Daring and Demure Red Lace Peter Pan Collar Dress would look nice paired with beige, black, or ivory pumps, mary janes, or wedges. This is a chic and fashion-forward look with a ladylike touch. Details: Lined at bust. Hidden back zipper. 100% polyester. Contrast: 97% cotton, 3% spandex. Dry clean only. Small measurements: Length from top of shoulder to hemline: 34". Bust: 32". 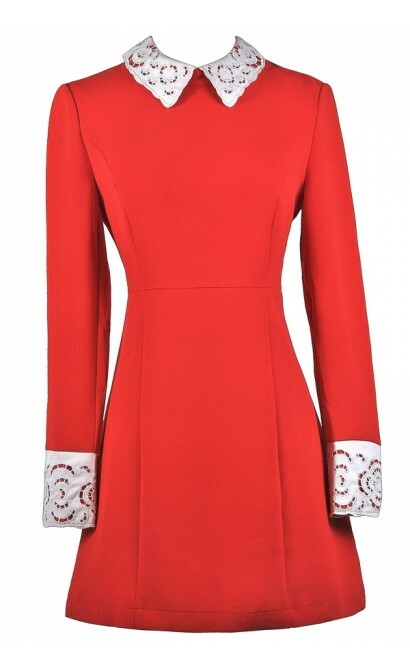 You have added Daring and Demure Red Lace Peter Pan Collar Dress into Wishlist. You have added Daring and Demure Red Lace Peter Pan Collar Dress for Stock Notification. 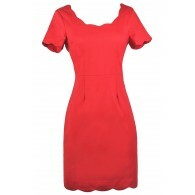 You have set Daring and Demure Red Lace Peter Pan Collar Dress as a loved product. 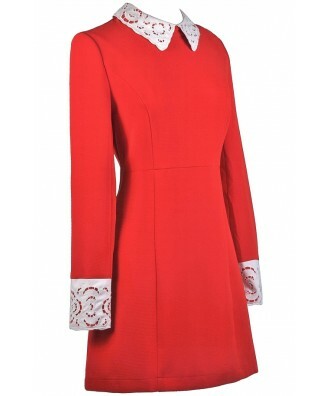 You have removed Daring and Demure Red Lace Peter Pan Collar Dress as a loved product.